Description: This piece of artwork uses caption pages from the most recent family law case rulings from the California Supreme Court. The pages are stained with coffee and painted with various levels of diluted calligraphy ink to achieve different gradient levels. The natural tannins in the coffee give the pages an aged patina which gives the piece a vintage feel. 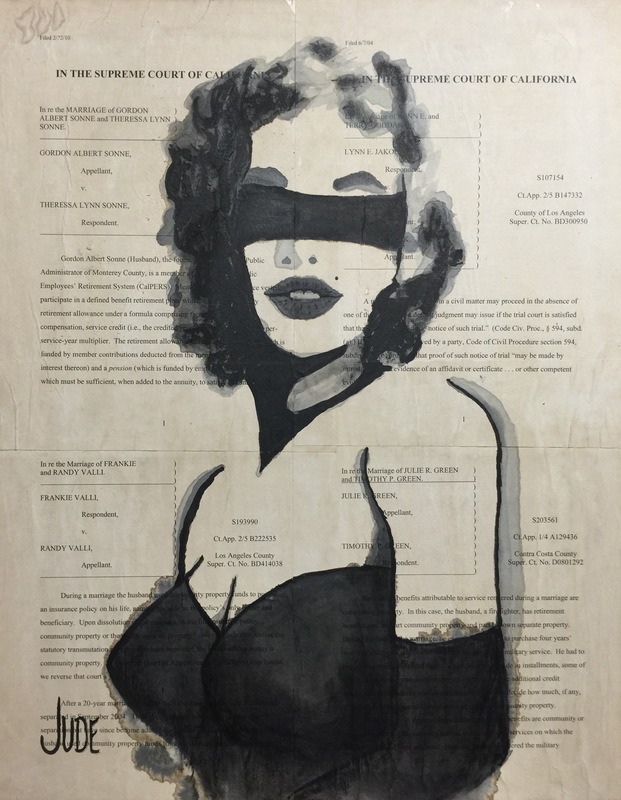 As a timeless symbol of Hollywood, Marilyn Monroe posing as a blindfolded Lady Justice embodies the juxtaposition of order and ostentation that can be California family law.